British Airways (BA) has announced it will expand the range of leisure services available from London City Airport with the launch of new routes to summer holiday destinations. The airline said it is set to begin year-round routes to Faro in southern Portugal and Malaga in Spain for travellers at the Docklands site from June 7 and 8 respectively. The planned four weekly flights to Faro, which is the capital of the Algarve region, and three weekly services to Malaga on the Costa del Sol will be handled by two recent additions to the airline's fleet. Other expansion plans include extending the existing service to Nice to provide twice-daily connections between May and September this year - a development that will have been noted by holiday agents and travel insurance companies. 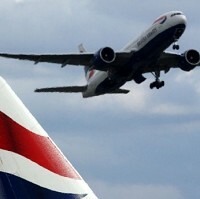 BA said the frequency of services from the airport to the Spanish islands of Majorca and Ibiza will be raised from four to 10 weekly flights between July and September. Wholly owned subsidiary BA CityFlyer controls the airline's leisure routes out of London City. Luke Hayhoe, commercial manager, BA CityFlyer, said: "We first launched leisure-only flights from London City last year in direct response to demand from our customers. They proved so popular, particularly during the summer months, that we have decided to expand them further this year."